This past month, i took my 2000 Ford Ranger to Cory at Transmedic, confident that i would receive excellent service. Even though his schedule was jam-packed, he found a way to fit me in before a long, holiday weekend. His prices are fair and reasonable. He and his employees knowledge and expertise are superior. They have a very high level of integrity. You can shop around all you want, but you’ll save yourself time and money to go to Transmedic in the first place. If you are in need of an expert transmission mechanic, Trans Medic Transmissions is the place for you. Our team has more than 20 years of experience working on standard and automatic transmissions Gresham. We offer exceptional service and only use the highest quality parts and we back it all up with a nationwide warranty. Our goal is to get your vehicle running and back on the road. We work on domestic, foreign and diesel transmissions, so whatever the problem is, we will diagnose it correctly. We’ll also make sure we help you understand what needs to be fixed. We want to save you money, so we always check to find says to fix the problem without removing and replacing the transmission altogether. At Trans Medic Transmissions, we guarantee our highly trained team of technicians will get the job done right the first time. We only using state of the art equipment to test and diagnose your transmission issues,and we’ll repair it using highest quality industry approved parts. We won’t cut corners, so you can be confident in the services you receive. Every procedure we do, whether it’s replacing a clutch or rebuilding and entire transmission, must meet our rigid standards. And when the job is done, we stand by our work with our nationwide warranty. 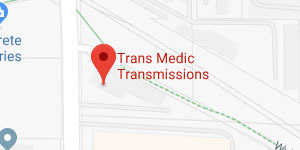 Call Trans-Medic Transmissions in Gresham today to schedule a time to have your transmission inspected.